Every year, we all write a set of resolutions to better ourselves the next year. And every year by the second or third week of Jan, we abandon those resolutions. 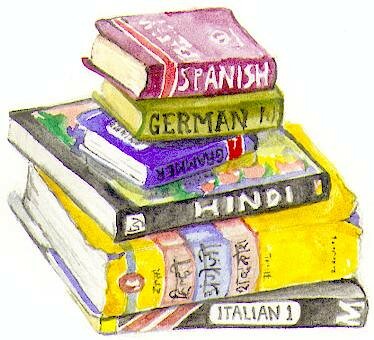 There are tonnes of other popular and exciting languages that you can learn. For example, you could learn Japanese and understand their vast and vibrant culture. This could be a totally mind-opening experience where you expose yourselves to new cultures and be enlightened by their customs and traditions. 2. Learn a new course: No matter what field you are in, there are plenty of short courses available online (both free and paid) that will help you improve your skills. Even attending webinars and workshop, can be quite beneficial because they are great ways to gain insight. Imarticus Learning offers a range of professional trainings for finance, IT and analytics aspirants. The range of trainings include some specific programs such as financial analyst course, business analytics course, CFA Courses and among other investment banking courses that are designed for aspirants that want to take their career to the next level. These programs are job relevant and are taught by industry experts who have been in their field for decades. 3. Overcome your fears: Start with the little things and try to overcome it. Fear of risk, fear of public speaking, fear of heights, they are all obstacles on your path to success. 4. Have an exercise routine: The best way to better yourself is by creating work out routines. Keep your body and heart in good health. You can start off small with walks or jogs in the park, and add working out in the gym. There are so many self-help videos and tutorials available online. 5. Quit a bad habit: Quit smoking, oversleeping, and other such things that the people you love have always been nagging about. This is the most common, and hardest resolution to keep, but you know it will be worth it once you have successfully gotten rid of your vice. 6. Meditate: We live in a world where we are constantly asked to rush things; at work or at home. We never stop to breath. It is a good practice to meditate as it helps you stay calm and conscious of your surroundings. Some have even found that meditating at night helped them get better sleep. 7. Be among top people in their fields: These people have achieved what they have achieved with the right skills, and the right mindset. By surrounding with these successful people, you can understand how they have improved their life as well. Whether it is studying courses lead by industry expert, or networking at parties, this is definitely something one should do. You can gain insights from them and try to achieve the same results yourself. 8. Be kind: Show kindness to the people near you. Whether it is just giving a polite smile, or helping people with directions, it does not hurt to be kind. 9. Read development/motivational articles daily: This is something everyone should do. Sometimes we find ourselves lost on our path, whether it is our career path or life in general. By reading these blogs or articles, we can find ourselves finding ways to get back on the path we always wanted to go. 10. Set goals: Then achieve them. On behalf of Imarticus Learning, we wish you the best for the next year. We hope that this article inspires you to take the next year with a breath of fresh air and follow these tips as much as you can.